On the bright side the text is well written in American English. It is well organized, full of helpful images of the older JDeveloper 11.1.1.2 version, tutorials and hands on practice. The setup instructions are accurate, detailed and the full source code is available online too. On the dark side, the text is full of marketing lecture, whole chapters of promoting the suite, using rather banal and boring expressions of the type: "best of breed software" and so on. What is worse is that instead of warning the reader of potential hazards, which might risk a project's outcome, the authors seem to prefer to conceal the product defects. Consider for example chapter 10. On page 254 it reads: "The next chapter provides instructions on running and testing the process." But what follows is Using Process Composer, neither running nor testing the application. What is more, a defect is hidden here: if one follows the relevant OTN online tutorials to proceed on his own, one hits on a bug, mentioned here. For the JDeveloper 11.1.1.4 user the process becomes eventually visible in BPM Workspace in Application panel, only if one restarts the application server; which is rather unacceptable for production deployments. All in all, the book offers a spherical hands on introduction to the BPMN suite, including ADF (sadly only business components, no EJB's) and other relevant technologies by insiders, that is oracle employees. However, a more pragmatic approach to acknowledging defects and providing workarounds, if possible, would be ideal! 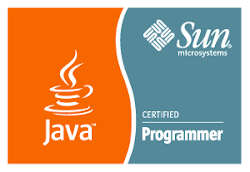 Furthermore, a word about the myth of developing via the oracle SOA platform, without writing any Java code, which oracle marketing endorsed. After all, Mr Piotr Bazan summarizes so right, what the man in the street thinks about it: "Have to say I've never worked with such buggy tools where every step brings a new problem." Isn't that the reasons that JDeveloper related jobs are so hard to find worldwide on the one hand, and the salaries offered are way more than the average on the other?